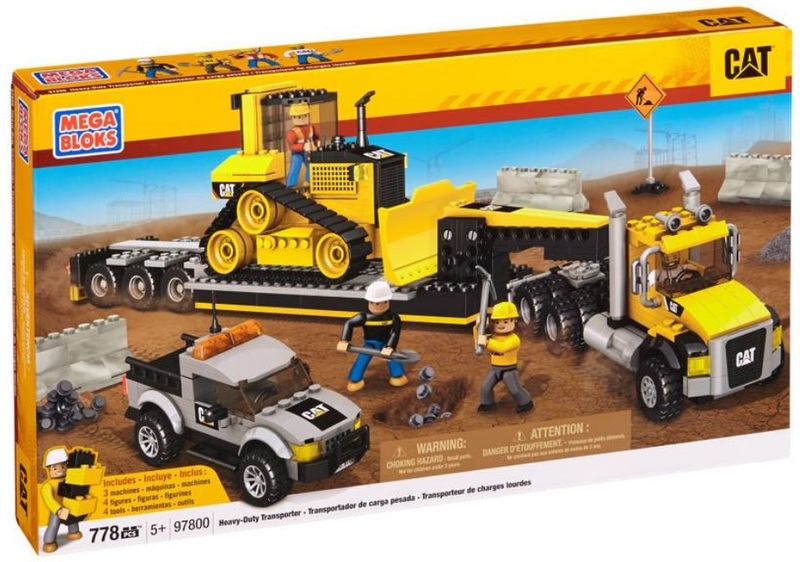 Your little foreman will need the biggest and toughest transporter to get his CAT vehicles to the construction zone. The Heavy-Duty Transporter by Mega Bloks CAT can get anything you place on its huge platform to its destination. Build the CAT Bulldozer and pick-up truck, and then assemble the massive transport platform with CAT semi-truck to pull them to their destination. Ideal for children ages 5 and up!